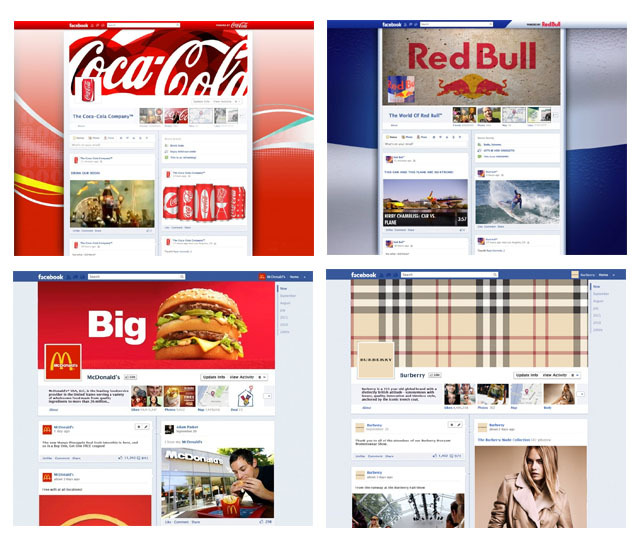 Facebook officially announced its long-anticipated Timeline for Brand Pages today. There has been a ton of analysis about what this will mean for brands, and how to best take advantage of the new features. Brands will have until March 30th to set up their new page layouts, at which point the changes will automatically go live for all brand pages. There are advantages and disadvantages to the new layout. Plenty of businesses are excited about these changes, and plenty of others dislike the Timeline layout, or are simply dreading yet another round of changes. The point is, social media is a moving target. Social channels are constantly changing. Facebook, Twitter, YouTube and LinkedIn have all rolled out major facelifts and functionality changes in the past few months. New channels, such as Pinterest, are regularly emerging. Old channels fall into disuse or fade off of the radar screen. Mobile platforms change regularly. Brands can fight the changes kicking and screaming, or they can embrace them and understand how to use them to their advantage. But they can’t turn back the clock. Marketers accustomed to a campaign-like approach to planning, with “start” and “end” dates and a fixed budget, often have a hard time adapting to this kind of thinking. The idea that something you build today may not work the same way (or at all) tomorrow is disconcerting. We like to be able to see where we’re going and to predict results. But the social media game is often one of “change or die”. So how can marketers plan for change in social media? 1. Decide if you’re a leader or a follower. There are advantages to being the first to jump headfirst into any new social space or initiative, but early adopter advantage comes at a heavy price. Most companies can’t afford to be the guinea pig all the time; sometimes it’s worth sitting back and watching what others do, learning from their mistakes, and building a better mousetrap. This applies to social media, where the largest segments of the market often won’t come on board until months or even years after the “cool kids” are there. Targeting baby boomers or developing markets? Facebook is in growth, not decline, for these markets. It’s not okay to miss the boat, but it is okay to let someone else test it for leaks before you take it out on the water. 2. Prepare to make an ongoing investment. If you’re building a Facebook brand page, a mobile application, a social game or a YouTube channel, assume that you will need an ongoing budget for maintenance and minor updates, and plan for a major overhaul at least on an annual basis. Factor this investment into your expected returns, and you will have fewer unpleasant surprises. 3. Don’t over-extend yourself. Be selective about which social channels you embrace. A mile-wide-inch-deep strategy could result in your resources being spread too thin, unable to cope with the constant changes in the channels. Focus on the ones that are the most relevant to your business. 4. Stay informed. Subscribe to industry publications, feeds, conferences and updates from the major players so that you have a bit of advance notice about upcoming changes. There are usually rumors, leaks and even beta tests well in advance of a major rollout like timeline for brands. Make sure you’re plugged into the rumor mill to avoid being caught unaware. 5. Embrace change. Social channel changes might mean more work, but they also spell opportunity. Every new change is a chance to edge out your competitors. Some of these changes could be game-changers. 6. Measure, measure, measure. Everything changes… except the need to demonstrate a return on your investment. That is a constant. If you need to adopt new tools, dashboards or even ways of thinking about returns, so be it. But before you leap, ensure that you have clearly defined your expectations and success metrics. The platforms may constantly be getting facelifts, but the fundamentals don’t change. Performance always matters.